Jarrod joined Melbourne Law School as a McKenzie Postdoctoral Research Fellow in June 2015. His research interests lie largely in international economic law and general international law. His work has been published in journals including the American Journal of International Law, the International and Comparative Law Quarterly, the Journal of International Dispute Settlement, the Journal of World Investment and Trade, and the Melbourne Journal of International Law. Jarrod is the author of Domestic Law in International Investment Arbitration (Oxford University Press 2017). 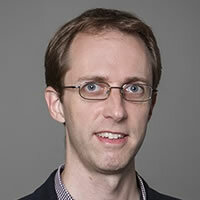 Jarrod holds the degrees of DPhil, MPhil and BCL from Balliol College, University of Oxford, as well as first-class honours undergraduate degrees in both law and software engineering from the University of Melbourne. He has been a visiting researcher at the Max Planck Institute for Comparative and International Private Law in Hamburg. Before taking up his current position, Jarrod was a Lecturer at the University of Exeter, specialising in investment treaty arbitration, contract law and company law. He has previously taught in a range of areas of law at the University of Melbourne and St Catherine's College at the University of Oxford. Jarrod is admitted to practice law in Australian federal and state jurisdictions, and has experience in the Competition Group of a major Australian commercial law firm. He is also a regular contributor to a specialised news service, Investment Arbitration Reporter, providing coverage and analysis of foreign investment disputes.